On November 20, 2015 Jeffry Burchard and Patrick Ruggiero sat down with Jorge Silvetti to discuss the firm’s approach to Cultural heritage. Here is a portion of that conversation. JB: Preservation. Restoration. Conservation – What are these? 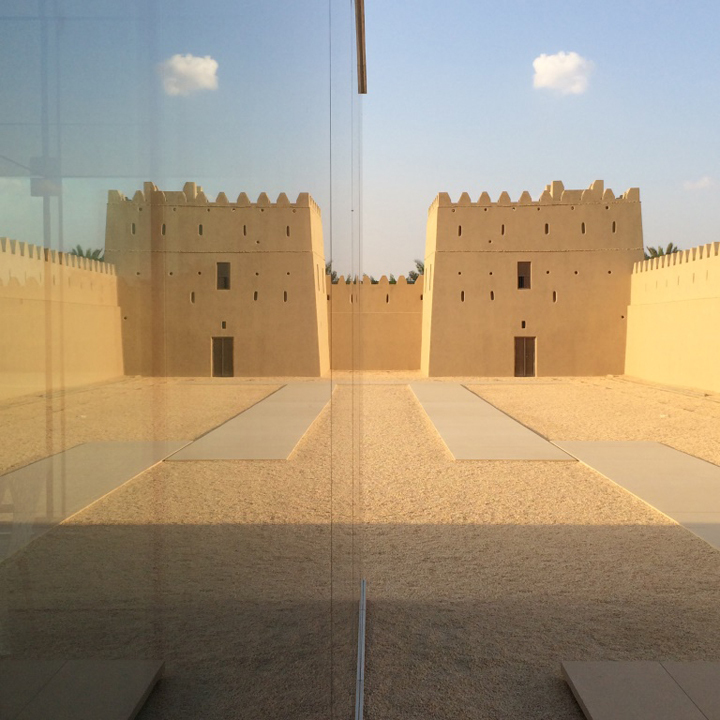 How do they relate to Cultural Heritage and what does it mean for an architect? JS: Okay—first of all I think there is a meaning that each word has that is self-evident. However the question comes up because obviously they do have ambiguous applications and people use the terms in different ways. This is such a fluid field of related activities and there are no very clear boundaries between them. And in the end, for me, each case is different. Perhaps this is because we have had the luck to work on extreme cases like the Getty Villa in which we didn’t know how to define what it was that we were doing, to cases that are very specific like Menokin where we do have an actual ruin of a valuable historic building that must be conserved, maintained, and recreated in different degrees. Really, every case is a different case and for each we have to define our approach. And this is how we have been proceeding in practice. Having said that, restoration is the one that is the simplest - in which something wants to be brought to its original state. Of course, that is hardly achievable - because the context has always changed and nothing could become exactly the same again. However, technically speaking sometimes it is possible to restore something to an original state. Conservation implies an approach that requires a strategy about what it is to be conserved and what things need in fact to be modified in order to produce conservation. Sometimes the types of original materials that are involved cannot be conserved because such material has a lifetime. So you have to approach conservation in a different ways. For instance, sometimes you have to bring things up to code and this always requires a modification so that requires an idea and then a strategy on how to articulate architecturally that idea into something new that also conserves. 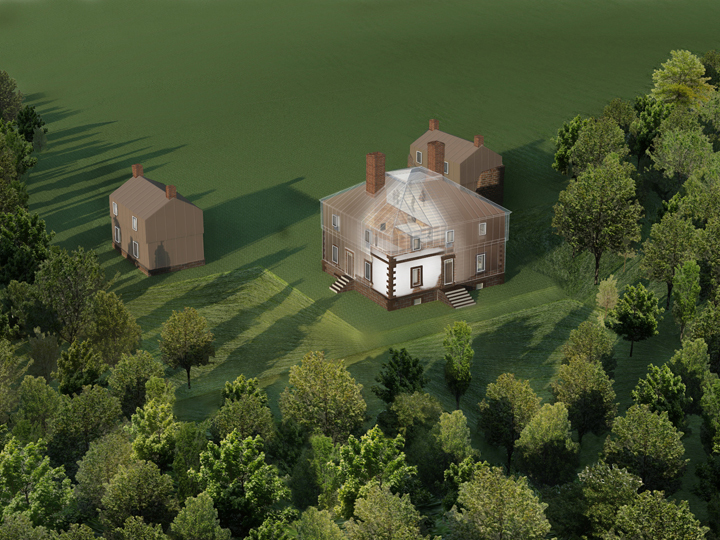 JB: What, specifically, is cultural heritage work from an architectural point of view? JS: Cultural Heritage is what within the traditional social sciences, particularly anthropology and etnography, would be called material culture. That is all the physical artifacts created by a group of people that has a certain identity . And such material culture must exist in the world today, it must have a physical presence. It is all the material culture that is associated, somehow, with architectural artifacts or with all of our associated disciplines like urbanism and landscape that define and give identity to a certain human group whom also have a fairly consistent performance and manifestation of their products over a certain time. All of those material products that are associated with architecture constitute, to me, the cultural heritage that is interesting to us as architects. This is really the key idea of conservation to me—you have to be aware of this intangible dimension that accompanies material culture. However, once you say that you get into precisely the other side of this which is the intangible patrimony. This has to do with people’s customs, people’s ways of behaving, people’s ideas about rights, with the performance of rituals, etc. All those “intangibles” that have an influence in architecture. This more inclusive perspective to cultural heritage is very new. And this is really the key idea of conservation to me—you have to be aware of this intangible dimension that accompanies material culture. These are the ways in which people used to or have used spaces or have conceived of spaces and have occupied the spaces that are part of the culture. I’m saying you might never be able to recover that but I think one has to be conscious of that otherwise you are simply re-functionalizing. And that’s why it is important to understand the intangible dimensions of culture because you may be restoring a building completely to the exact material condition of the original version and then you might change the function and, again, that may be necessary because the only way to restore the building is to give it another function, but in doing so you have completely altered it. PR: I think today a lot of people separate it—you keep the material and it supposedly reinforces the identity of the place but the actual function is changed and the patrimony of use is lost forever. JB: There are several kinds of dialogues between contemporary society and cultural heritage. One is about a kind of ingrained, privileged stylistic period that insists on restoring a moment in time. And then another one has to with projects that are much older where we are not dealing with style as much as conserving the eroding substance of important cultural artifacts. What is the relationship between the existing material and the sometimes contradictory requirements for the new and old to coexist? JS: First of all, I always start many discussions on these topics by saying that history never repeats itself . I’m a firm believer of that. So that’s it. There is never “again”—never. So every time you restore, preserve, conserve… all of those actions that pretend a “recovery”, result in something different, something new. What you are doing is inevitably something new. For instance, Menokin has a very sincere attitude toward what is the task at hand. It wants and needs to maintain what remains and make it stable so it doesn’t deteriorate anymore. In its most purest idea, we are conserving exactly what is standing in place, just 25 % of the original. But also we are transforming it because we are adding new technology in order for it not to fall apart - because if you leave it exactly as it is, technically, it will disappear. It will disintegrate. And then, there is the idea of recreating an abstraction of the original, which is the volume with its precise dimensions, exactly as it was. But all of that is done without any intention of restoring or reviving or reconstructing the actual interiors or exteriors with their original materials. It’s an evocation, if you want to use that word. Something that will induce you to understand certain aspects of its past existence, nature and physical reality. The idea is really to do something that provides you with some knowledge about site, about how the building was in the site. 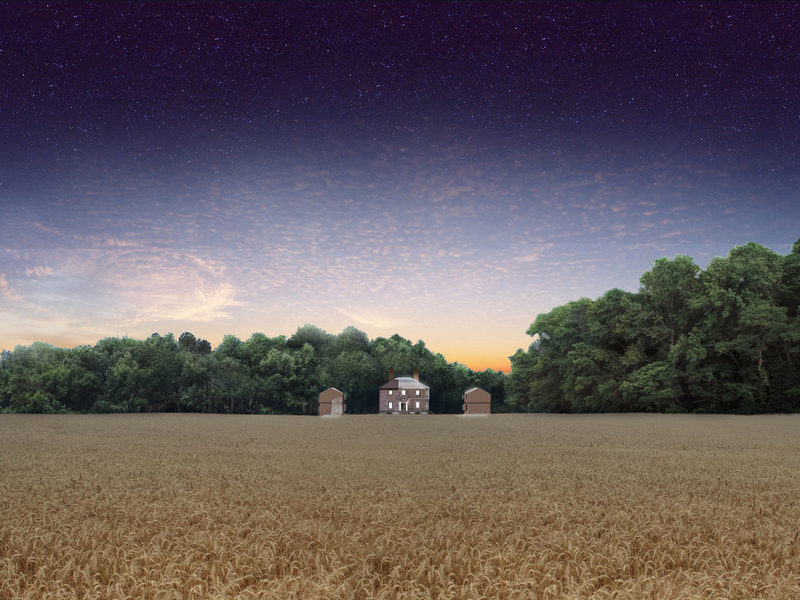 And what the building might have felt like in relationship to the landscape. And then the visitor takes off from there with their own thoughts and interpretations. 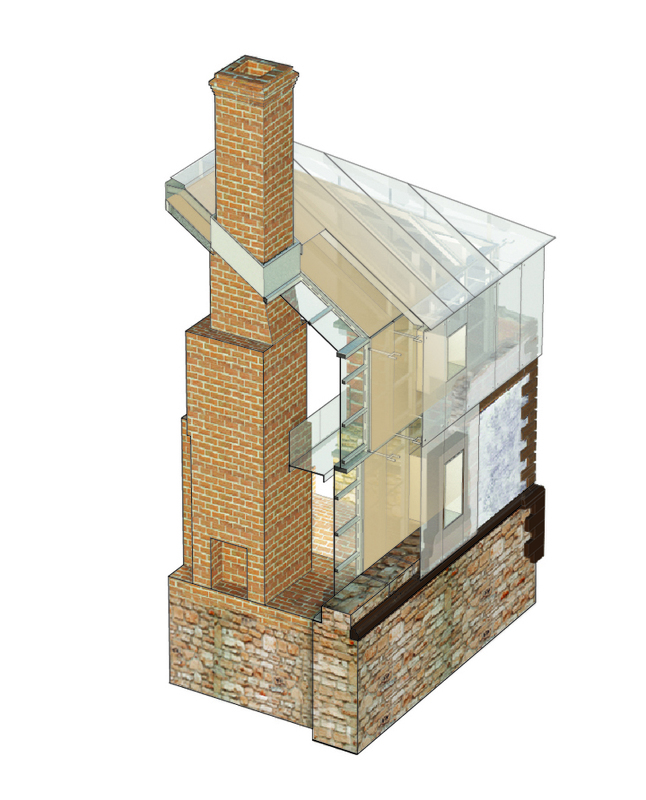 The use of glass is a purposeful choice: to create something very different than the original, to have no mistake whatsoever yet to give you some relevant, important, a significant piece of factual information about the original, in this case the volume and form of the original house. 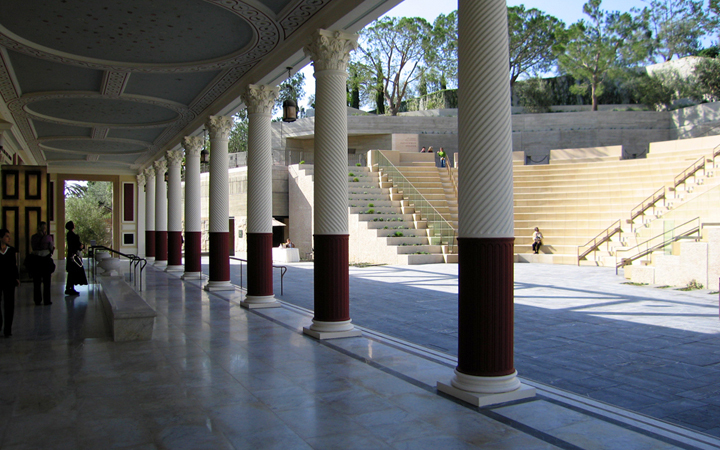 On the other side, there is the case of the Getty Villa, one of endless contradictions. It started by being a replica—which is another extreme case of all of this: it means to actually recreate a building exactly as it was but in a different moment and in a different place and for a different purpose. When we came in, twenty five years after it had been built, we were asked to work with that and to restore it. Restore a replica? Hmmm..., but actually, it had already acquired its own historical value. But more than historical value, after a quarter of a century of existence, it had acquired cultural value for Los Angeles. It was a cultural artifact that everybody loved and recognized as unique of their city. So after the initial shock, our attitude became one of exacerbation about such historical ambiguity because we noticed, since we are architects who know our disciplinary history, that the Getty Villa we found was not a very good replica! So we said, “We’ll make it better.” We’d make it much closer to an original Roman house. 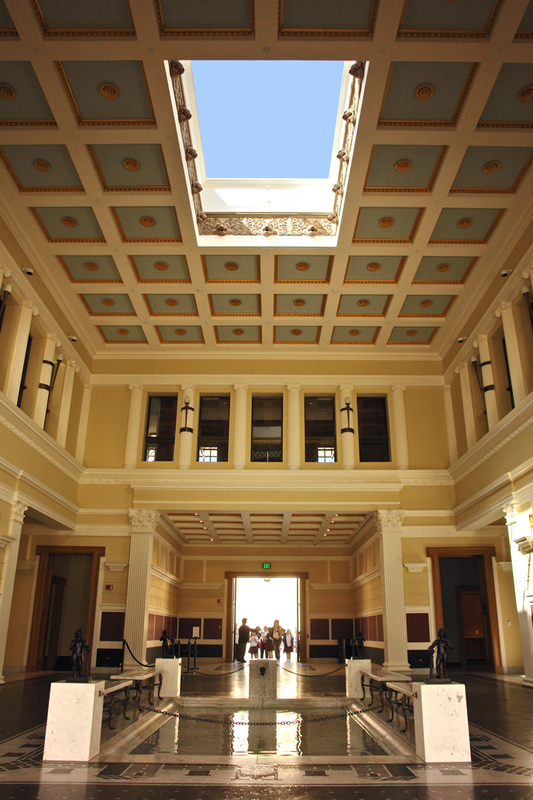 So for instance, one of the things was to open up around 60 windows and skylights to bring natural light – which is what an original roman house would have had and the Getty Villa did not have any. And then we introduced all of the historical color, real Pompeiian colors, and so on. So we made it better. And then we designed a whole new architecture outside and all around which is another way of going about preservation that we conceived for this case: creating an imaginary yet believable context that the Villa Getty never had. To that, we would add the new gardens, with its flora more Mediterranean than what is typically found in California. On the one hand this approach avoided the theme park idea and on the other created an environment that is authentically Southern California but that would again create the character of a Mediterranean location without any expectation of truth or faithfulness to anything. It has nothing to do with truth or authenticity, but with evocation and character and informed design decisions. PR: So in that case you were creating the intangible. JS: Yes but we were creating a new intangible—the twister continues ... which resulted in a sort of a new ritual of how to go to a museum... that you have to walk through a narrative threshold, a garden full of events and slowly discover the Villa, and then finally descend into it. And there is the associated metaphor of the excavation site, which has to do with the way archaeology operates in the landscape. But all of it is totally made up. The whole thing—we made up more stuff that was added to something that was already made up because it needed to be conserved. But it works. It truly works very well. JB: You’ve been revealing a bit about how Machado Silvetti differentiates itself in the world of this kind of work. This generally has to do with a larger ethos of the firm, which is about a deep sensitivity to particular conditions of each project. But it seems that there are themes or types of approaches that may reoccur in the responses that we have to these various projects. JS: When confronted with cases of potential conservation of cultural heritage, many other Architects talk, in rather boiler plate fashion, about the importance of preserving and conserving. We start from a different angle, insisting, in all of our work, first on the idea that we must consider each case as special and then decide what strategy to follow or call. This means that for us in the end, no matter how much or well we define what conservation is - there are no general strategies at the level of design; that finally each case is different because they are all so contemporary, and the contemporary cultural forces today that promote the conservation of cultural heritage also have agendas that you have to respond to. There is one big issue and one thing we are very good at understanding, wherever we are working, that is that all projects and particularly public projects of cultural heritage, have a political agenda. No matter what. Because it has become one of the resources to call into play in the political arena when issues of identity are at stake: ethnic identity. Cultural identity, national identity, group identity. Everything. And architecture must be part of that discourse too. Buildings and environments, particularly those that are perceived to have historical significance become symbols to people and as such they are sources of a certain power that different forces may want to control.